An encyclopedia of The New Yorker cartoons from the 1920’s til today. 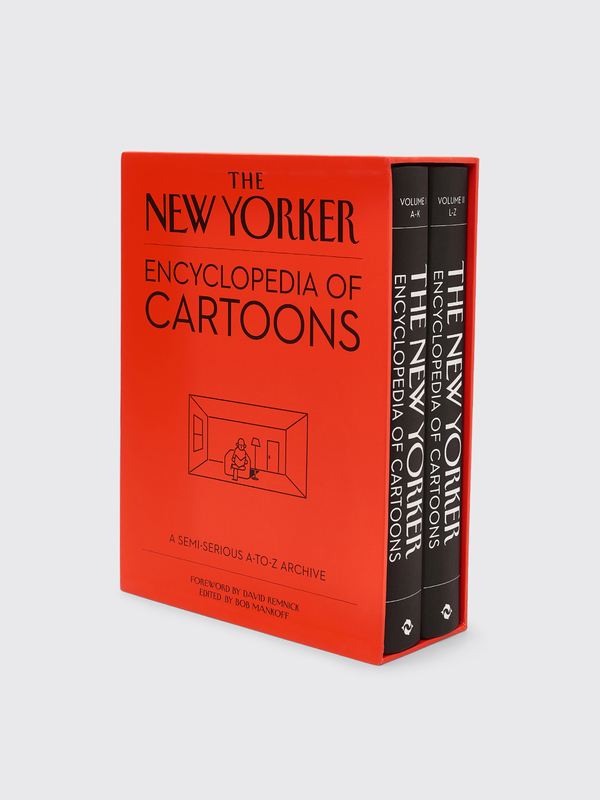 Foreword by The New Yorker editor David Remnick and edited by cartoonist Bob Mankoff. Published by Thames & Hudson in 2018. Two volumes. Hardcover. 1536 pages in total. Comes in a cardboard slipcase. Two volumes. Measures 23,7 x 32,3 centimeters.